Zack Snyder’s Man Of Steel is a great film for watching super-powered beings hurl each other through product placements. As a movie about Superman, however, a character whose purest incarnations portray him as the embodiment of hope, strength, and moral fortitude, the work leaves much to be desired. Plot quibbles aside, a big part of what’s missing is color. Man Of Steel is visually bleak and denatured in a way that’s jarring to anyone accustomed to the Technicolor splashiness of the ’70s and ’80s Superman films, not to mention any of the more modern animated incarnations of the the Big Blue Boy Scout. But in the post-Dark Knight DC film world, optimism and levity are non-starters, a trend which looks set to continue through the upcoming Batman V. Superman: Dawn Of Justice. But what if we could return the warmth and light that is Superman’s birthright to Man Of Steel? It’s an idea that a new proof-of-concept by VideoLab explores. 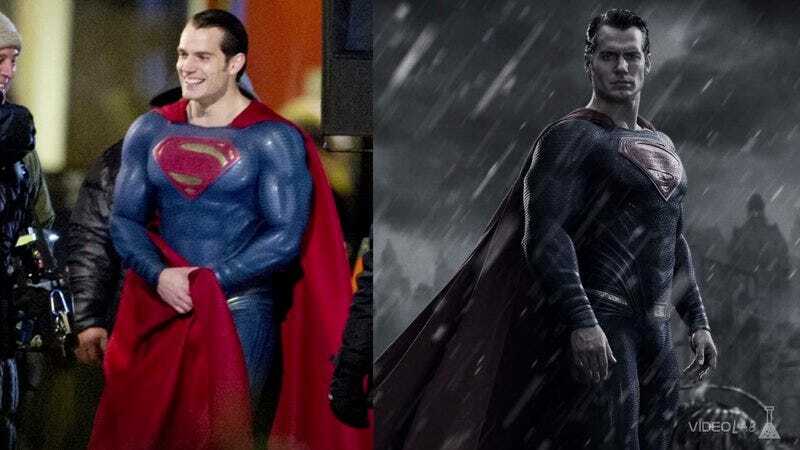 Would that make Man Of Steel a more authentic-feeling Superman film? Would that be enough to repair the public’s broken hearts (and necks)? Hard to say. Just for fun, the team also punches up a section of the Batman V. Superman trailer, which you can see below.